RecipesSo Many Ways to Enjoy! ContactWe Love to Hear From You! We want to hear from you! If you have any questions or suggestions on how to make our products better, drop us a line. 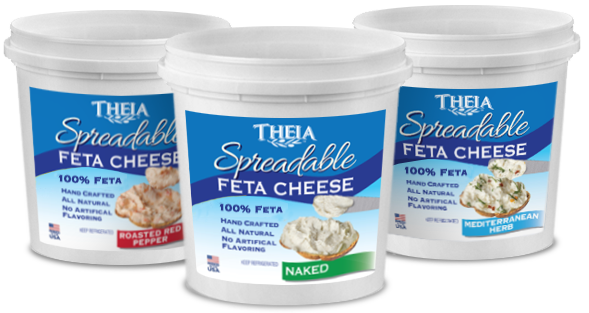 Theia Spreadable Feta Cheese is a great way to add flavor to your food service! Please email us and a representative will be in touch to discuss your specific needs.